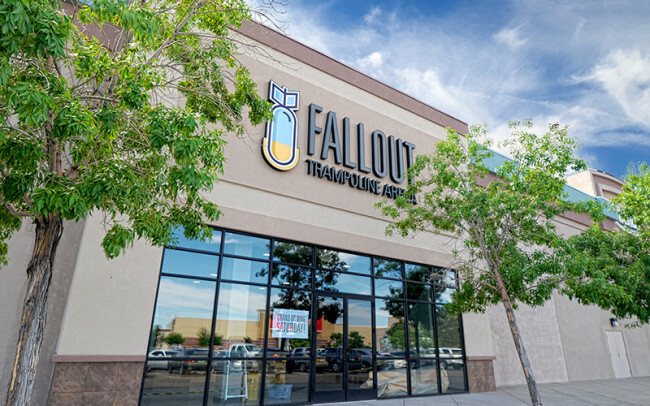 We are open from 10am-9pm every Monday thru Thursday, 10am-9pm on Friday, 9am-9pm on Saturday, and 10am-6pm on Sunday. How many square feet is the arena? 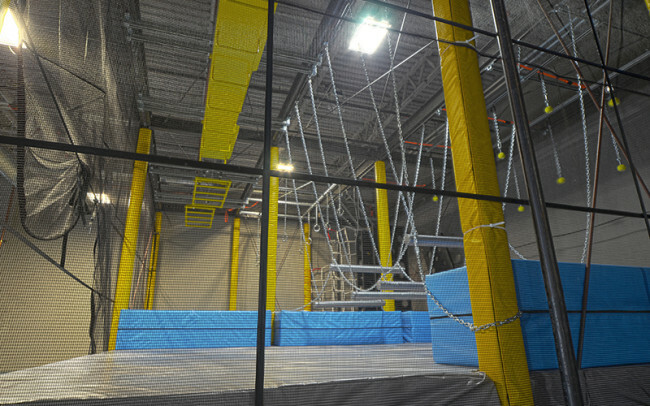 We have 8,000 square ft. of space to jump, dunk and climb through! 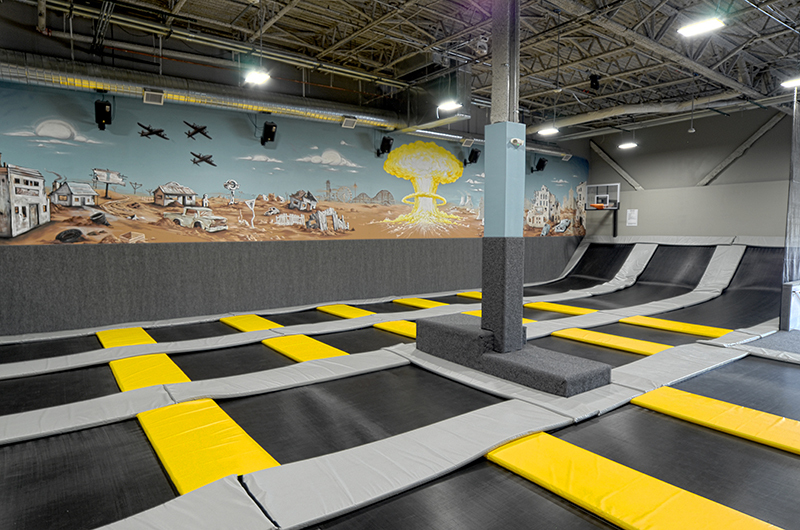 What makes you different from other trampoline parks? 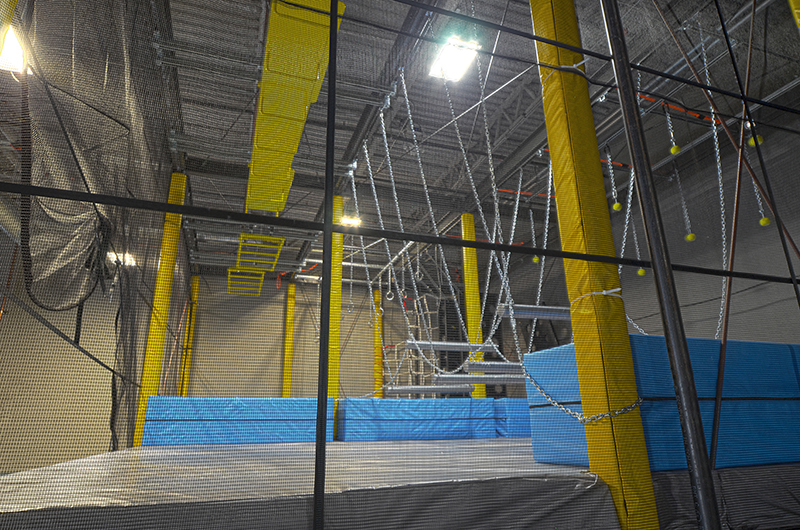 We are a locally owned and operated trampoline arena, featuring our own 2 story ninja course, in addition to other fun activities. 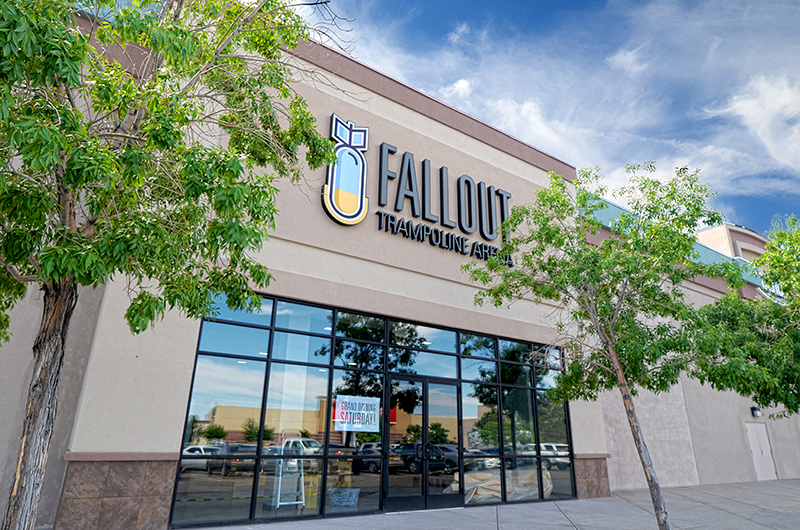 We are also conveniently located at the Cottonwood Mall by Old Navy, so you can shop after you're done jumping! What activities will you offer? 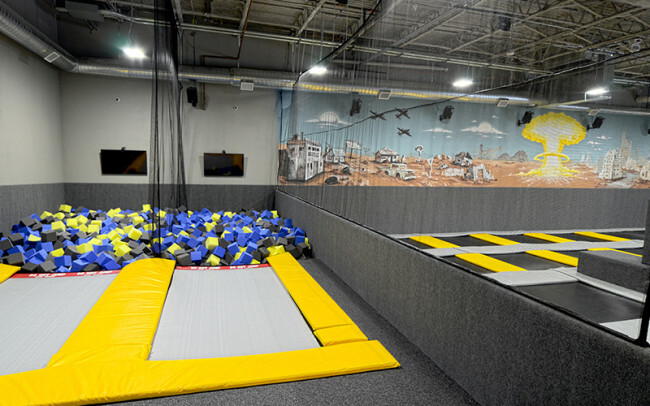 We have a number of trampolines just for jumping, a 2 story ninja course, foam pit, birthday parties, and exercise classes for all your trampoline needs! 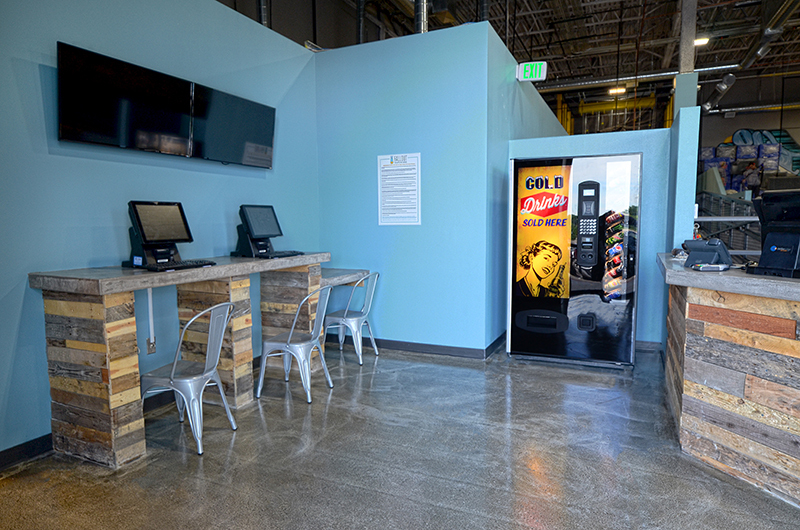 We do not allow outside food or drink, but we have a vending machine with drinks to purchase. 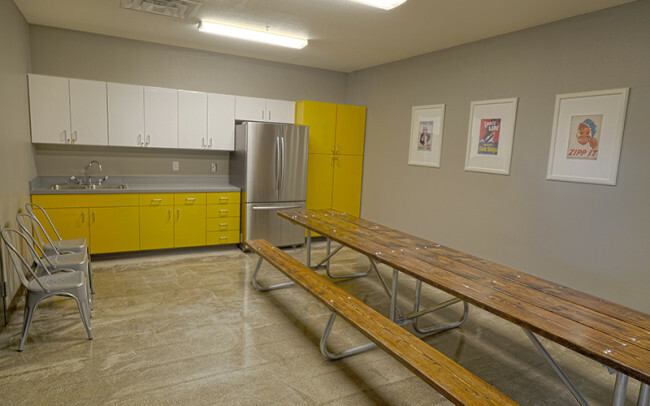 We are also conveniently located next to the Cottonwood Mall, which has a foodcourt, as well as a variety of restaurants. We do not currently allow any outside food or drinks in our facility, however we do have a vending machine that has drinks you can purchase. Socks are not allowed to be worn on the trampolines. Special Fallout Jump Gripper socks are available for purchase for just $5! . Are socks mandatory/will they be provided? Socks are not mandatory. 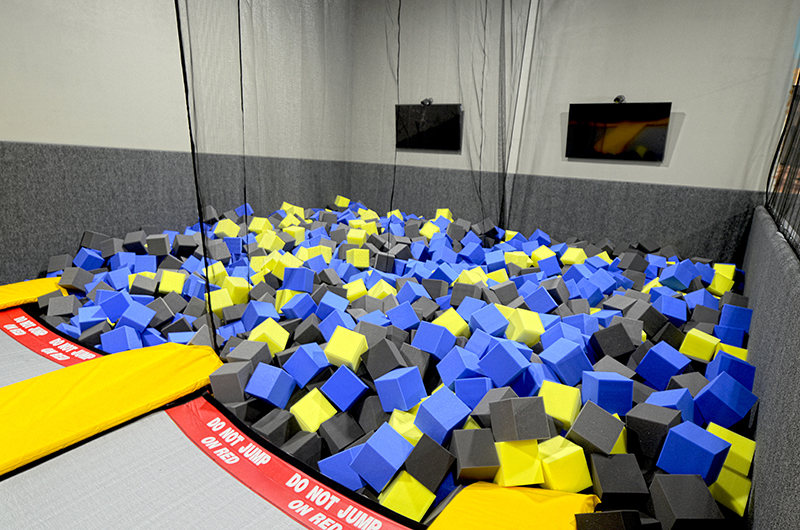 ONLY Gripper socks can be worn on trampolines. Fallout Jump Gripper Socks are available for purchase if desired for only $5! First aid is available at all times in our arena. No! 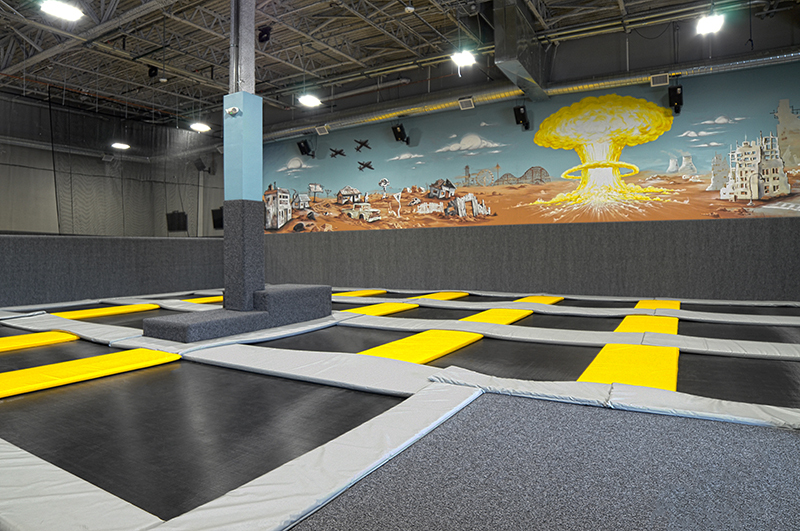 People of all ages can feel free to enjoy jumping on our trampolines! 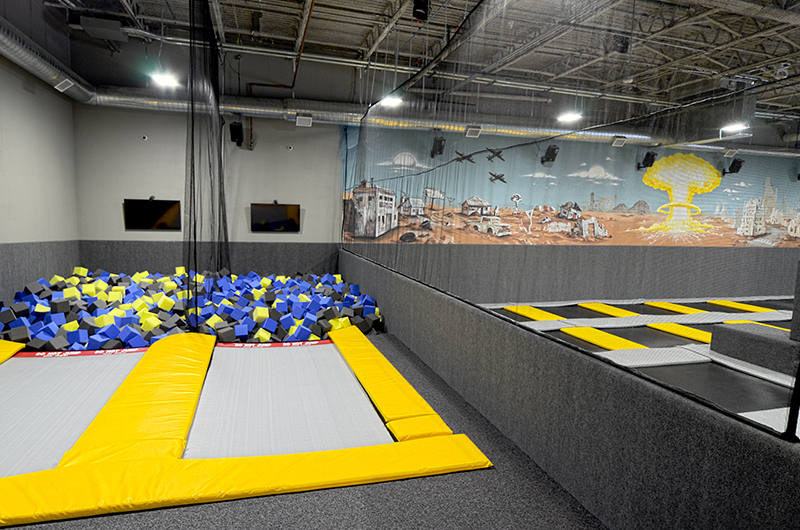 Are any activities on the trampolines restricted? 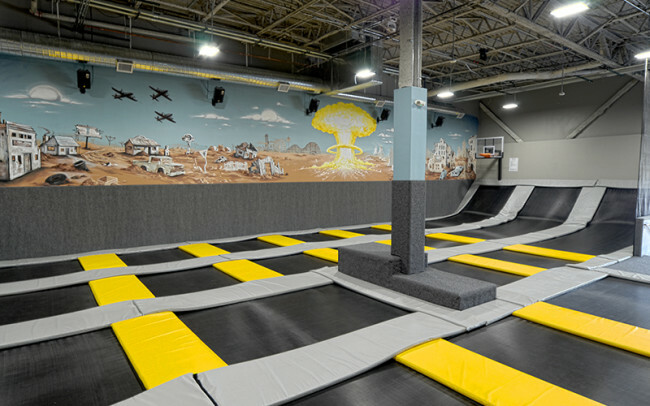 Double bouncing, wrestling, running across the trampolines, and any other intentionally dangerous activities are prohibited at our facility. See our waiver for a for a complete list of rules. Do you have Birthday Invitations? Do you have Slumber Parties / Sleepovers? Yes we can have Slumber Parties / Sleepovers. 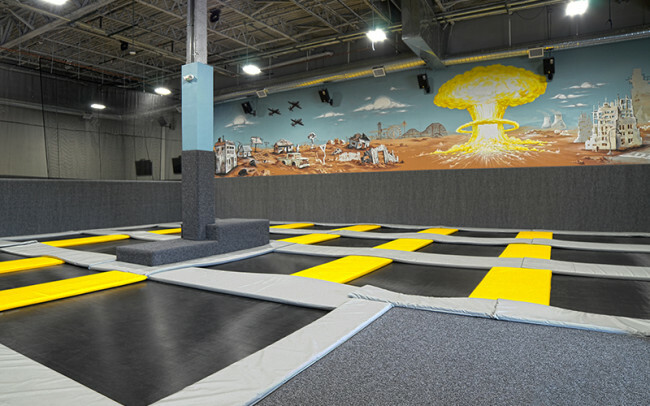 Just contact Fallout Trampoline Arena at (505) 738-3915 and we will work with you to arrange the perfect party! How long is the waiver good for? Printed and completed waivers filled out before coming to Fallout are good for the day that you come in to jump. 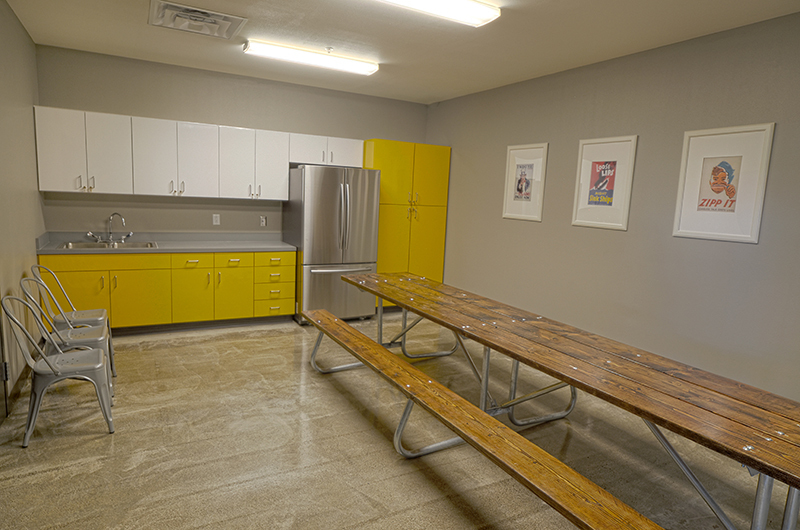 However, if you fill out our online waiver it will be good for 1 full year.